Riga Children’s and Youths’ Table Hockey Tournament "Sarauj – 2018" was successfully held on 24 November, also receiving the support and participation of RISEBA University this year. Over the course of the day, more than 700 students and their parents attended and participated in various activities and competitions. The main goal of this tournament is to introduce students to table hockey and give them a chance in an all-play-all tournament – 10 matches in their group for each participant. 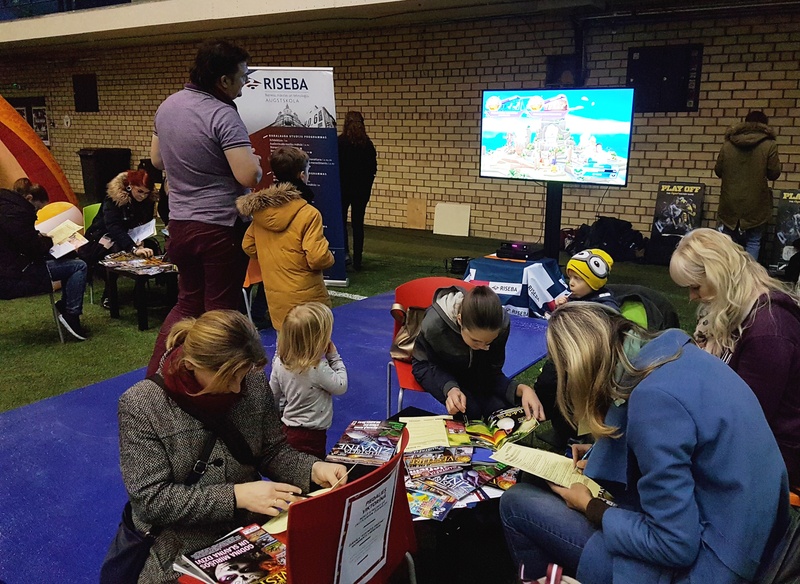 RISEBA stand visitors could show off their agility in the X-Box dance challenge, as well as test their wits in a quiz, made in collaboration with the publishing house "Dienas Žurnāli". Every hour a draw was held, in which quiz participants had a chance to receive gift sets from "Dienas Žurnāli", but approaching the end, the main prize was drawn – 3 month subscription to the magazine "Science Illustrated". Likewise, students and their parents could attend table tennis, darts, disc golf and extreme sports activity zones and take part in various exciting activities. Riga Children’s and Youths’ Table Hockey Tournament "Sarauj – 2018" is organised by the Latvian Table Hockey Federation.